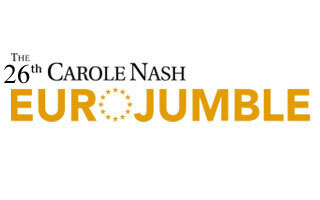 The ideal destination for traders and visitors alike, the annual Carole Nash Eurojumble is one of the UK’s biggest bike autojumbles, and it’s growing every year! 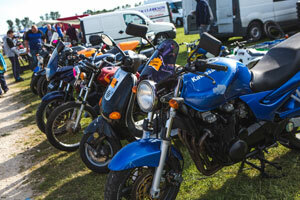 From tyres to tinware and engines to oil, there are thousands of bargains to be had on all manner of motorcycle related item. In its south coast location of Netley Marsh, near Southampton, this outdoor event welcomes visitors from both the UK and from far and wide across the continent, as enthusiasts turn out in their droves to find that elusive part, piece or spare, or purchase their next project. Showgoers can camp at Netley Marsh on Thursday, September 5 and Friday, September 6. 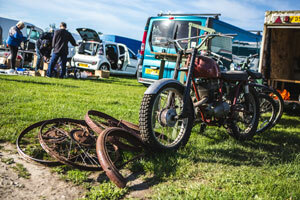 At just £60 for two people, campers can enjoy a break away while rummaging through mountains of motorcycle paraphernalia. Entry to the show is also included in the price. 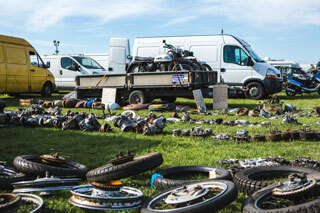 If you are looking to rehome some of your pre-loved bike possessions, join us on the Saturday for our garage clear out. Those wanting to take up a one day plot can do so from 8am, with entry for one person and one car priced at £20. A car with a trailer adds an additional £10, and passes for extra passengers are £15. Visitors wanting to take vans are also welcome, but they will be classed as full traders with spaces starting from £60. All Garage Clear out plots are allocated on arrival. Saturday only.